All of us know that an ocean has an infinite number of drops. But few of us see an ocean in a drop of water. Chikmagalur-based Farmland Rainwater Harvesting Systems (FLRWHS) is one such organisation out to save the precious rainwater to tackle acute water shortage in various states. 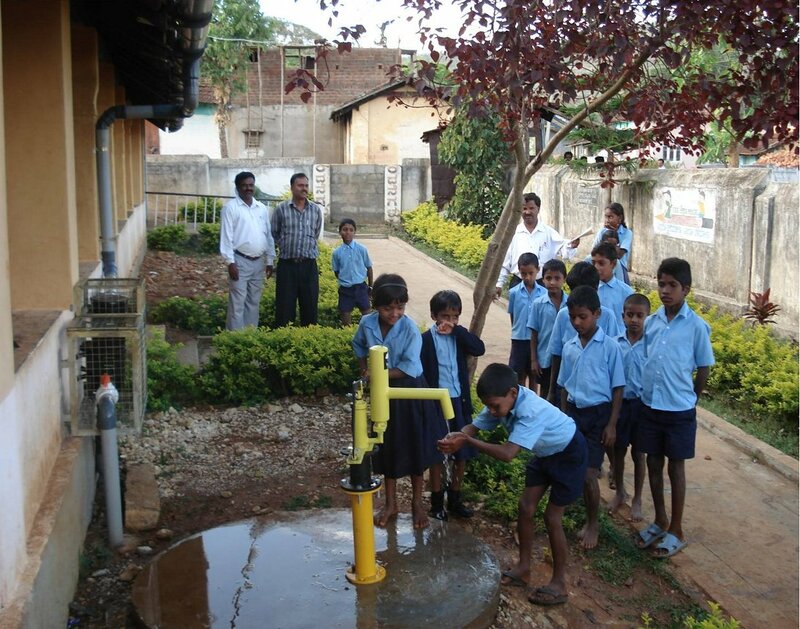 Through its innovative RWH technology, it has helped rural and urban areas with improved yield levels of bore wells which were either dry, or low-yielding. Safe drops for children at Allampura Government School, Karnataka. 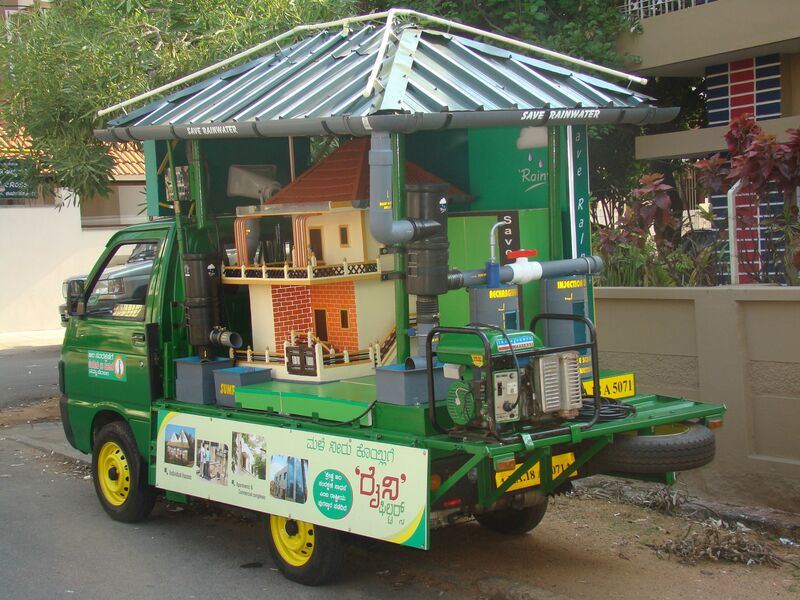 A rainwater harvesting model on the move. Hundreds of government schools have benefitted through assured drinking water supply and quality water for cooking midday meals. The children have access to fluoride- and iron-free water for four months in a year. So far, the organisation has recharged over 3,000 bore wells and installed more than 10,000 rooftop rainwater harvesting filters. Contact Vijay Raj at vijay.shisodya@gmail.com; +91 9448130524. Related articles: The end of Persian wheel. This entry was posted in Endlessly Green, Free Flowing and tagged Drinking Water, Environment, Infinity, Karnataka, Rain, Rainwater Harvesting, Urban area, Water. Bookmark the permalink.